Police officers should use their weapons to defend themselves and communities, says deputy national police commissioner for crime detection, Lt-Gen Lebeoana Jacob Tsumane. 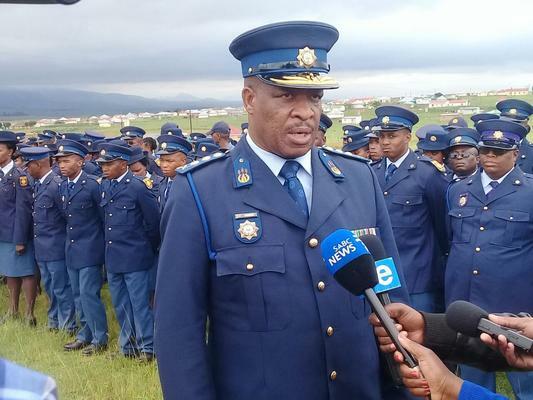 Deputy national police commissioner for crime detection Lt-Gen Lebeoana Jacob Tsumane on Saturday urged police to use their weapons – the tools of their trade – when they come under attack by criminals. 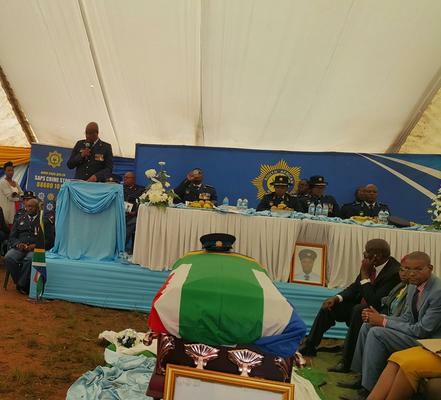 Tsumane was speaking at the funeral of Constable Kuhle Mateta in Ngcobo in the Eastern Cape, who was among five police officers shot dead by a criminal gang at Ngcobo police station on February 21. Tsumane called on police officers to confront criminals gangs and reclaim the integrity of the state. “Let us rise against these headless criminals, let us reclaim our authority of the state. We shall use the tools of [our] trade to destroy gangs and syndicates, criminals, and potential criminals masquerading as angels, prophets, and instruments of God. “Instruments of God and angels of God bring peace and never shed blood. They will never turn against their own protectors and thus we are ready to fight this fight,” he said. Police officers should use their weapons to defend themselves and communities. “We’ve got, colleagues, the tools of [our] trade, and this has to be used. Use those tools so that you do not die with your [weapon] in your hand,” Tsumane said. Mateta said he believed some of the rights afforded to criminals should be limited. “They go to jail and live on our taxes, we pay for their legal fees. Someone gets arrested, but after two weeks is out of jail and carrying on with threats for more crimes in the community,” he said. 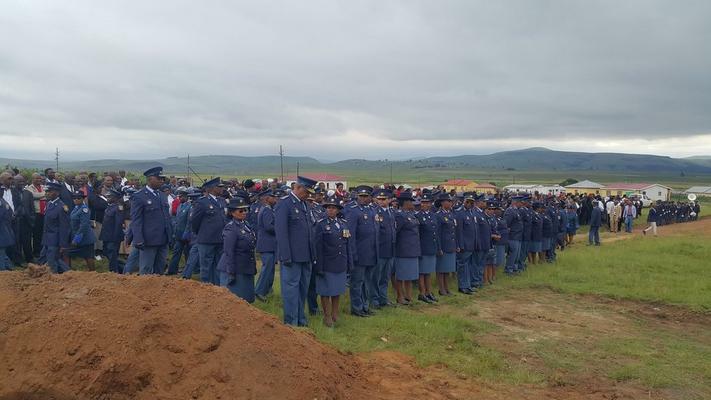 Police and Prisons Civil Rights Union (Popcru) Eastern Cape deputy secretary Xolani Prusente called for a reduction in staff at police head offices. “Our problem is not paperwork, it’s the rampant crime on the ground,” he said. Five policemen from Ngcobo police station were killed on February 21 in a nighttime attack by gunmen who robbed the police station of 10 firearms and fled the scene with a police vehicle they hijacked from two policemen, who they then murdered. The police van was later found abandoned in a ditch off the road a few kilometres from the police station. 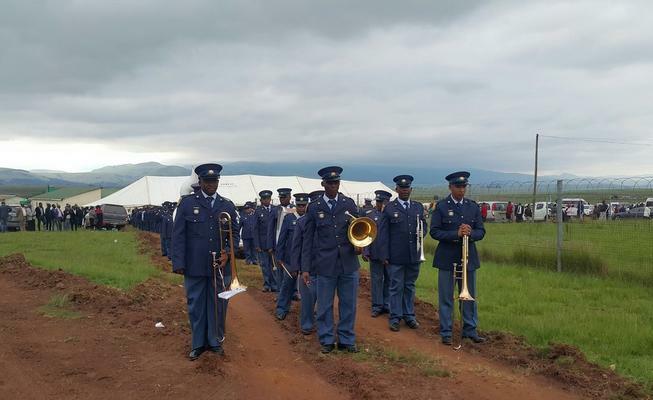 On February 23, seven suspects died in a shoot-out between a South African Police Service (SAPS) special task team and heavily armed suspects at the Mancoba Seven Angels Ministries Church at Nyanga village, Ngcobo. Ten suspects were arrested, and further arrests have been made over the past few days.